Hand sculpted Twig Bridal Set, hand sculpted, a one-of-a-kind creation. 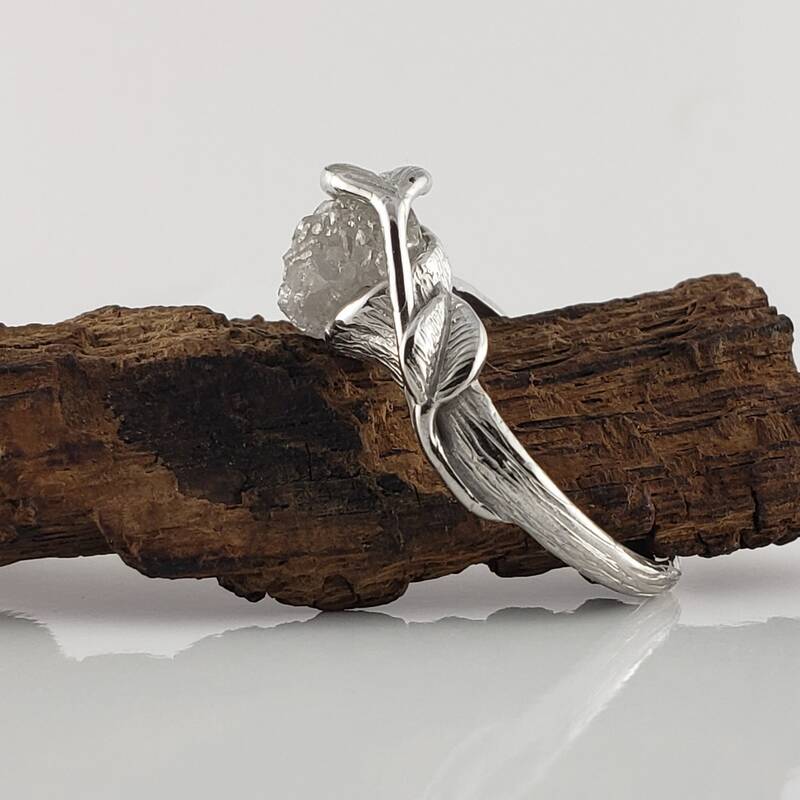 I wanted to create a beautiful engagement ring with Rough Uncut Diamond, so I sculpted the branch to focus on the showcasing this rough diamond and elegant leaves draped over the raw crystal like diamond. ● Diamonds: Premium Rough 1.5-1.91 ct Uncut Raw Diamond. Raw Uncut Rough Diamond - Cruelty Free Diamond.